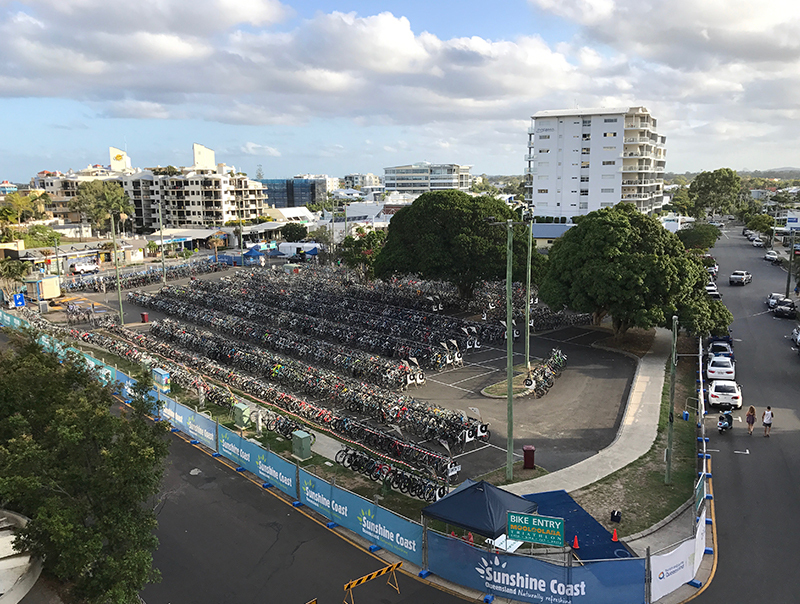 Last weekend I competed in the 25th Anniversary edition of the Mooloolaba Triathlon. 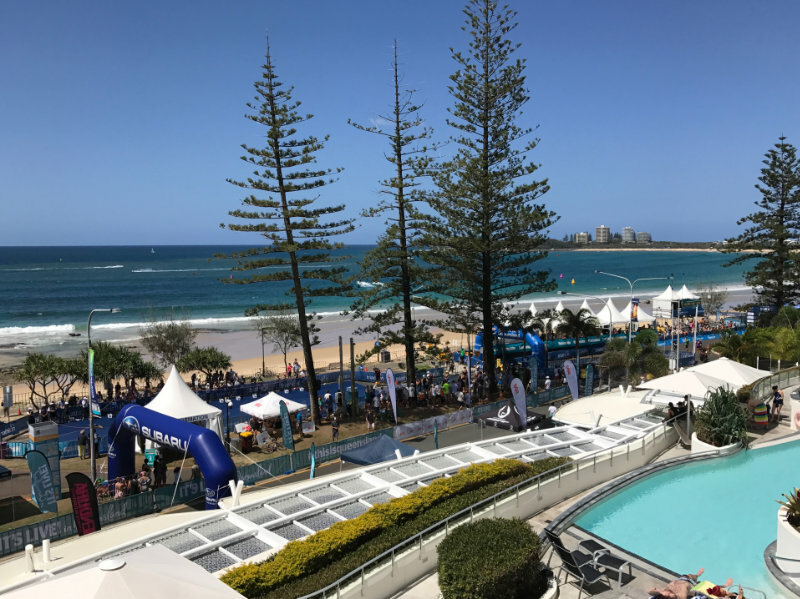 It was my first time competing in Mooloolaba and my sixth Olympic distance triathlon. Breakfast the day before the event after an easy bike ride. The two things I’d heard about the event was 1. the ocean was so rough one year that they had to move it into the canals, and 2. the bike ride was beautiful and there were cows out along the motorway. Neither of these were true for this years’ event (there may have been cows but I was too busy pedalling to look around). 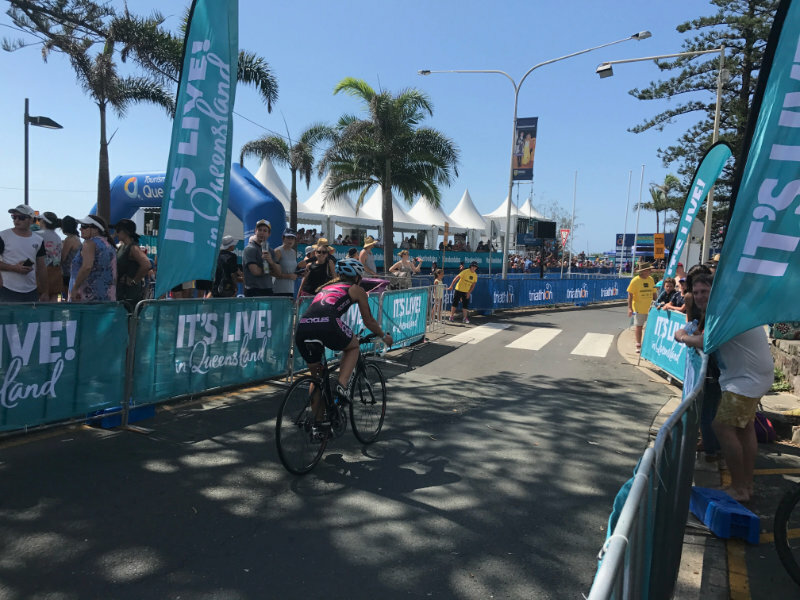 The Mooloolaba Triathlon festival weekend includes events for all the family – a 5km run, an ocean swim, a kid’s triathlon as well as an elite athletes ITU race. You need so much gear! The week before the tri, South East Queensland was experiencing huge swells and many beaches were closed. 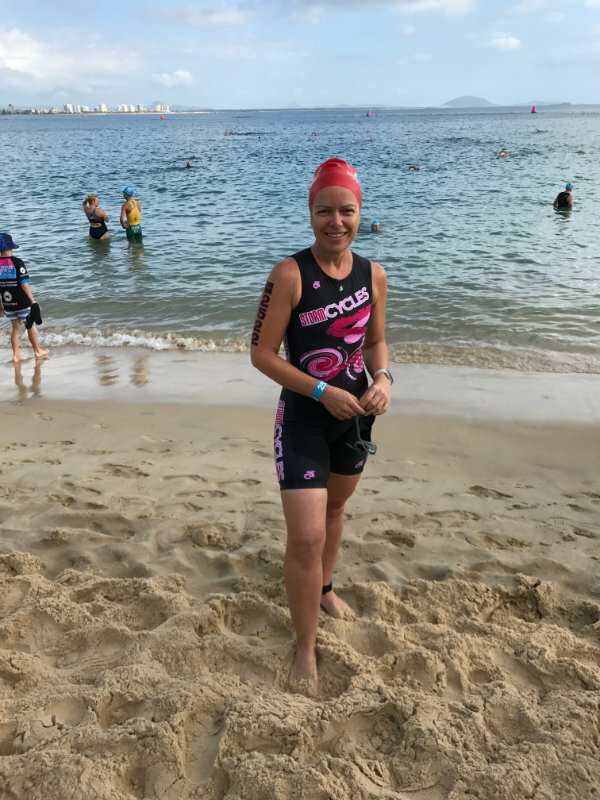 My ocean swim training had mostly been done in December and January when I was training for a 400m swim, which is a little less than the 1.5km I had to do for Mooloolaba tri. I had been swimming in a pool, but that’s without the waves. Before the race – as you can see there are no waves! As it turned out, the swim was flat and beautiful. The day started with no waves, no chop and no swell. To be honest, I actually enjoyed the swim. I only got one mouthful of salt water when I went to breathe and a small wave came. 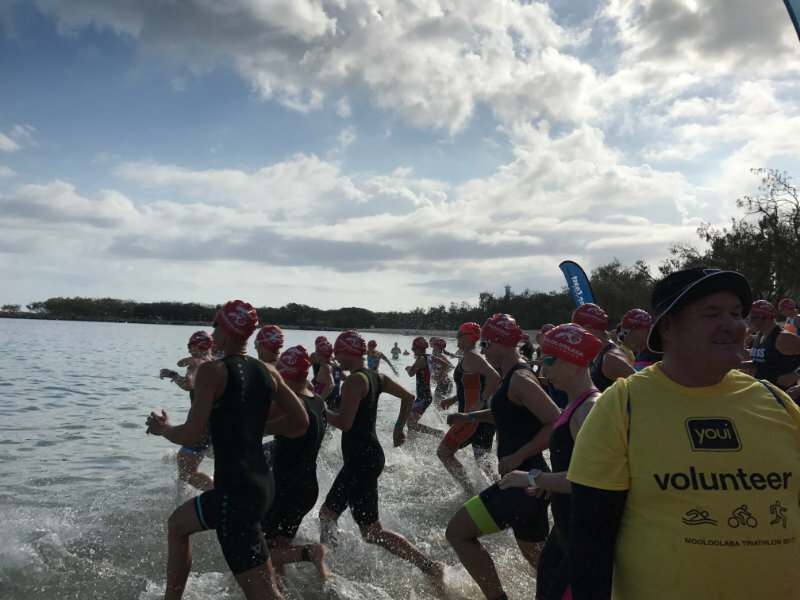 It was my fastest 1500m open water swim, besides the tide assisted Kingscliff tri. My goggles didn’t fog up, or leak and I even managed to see some fish. The downside was the couple of waves of competitors that started after me that swam past me. I guess that means I need more training. The start of the 45 – 49 female category race. When racking my bike the day before I walked up and down the racks trying to find the perfect place to put my bike. A couple of people even stopped me to check that I was ok, because they saw me wandering up and down! 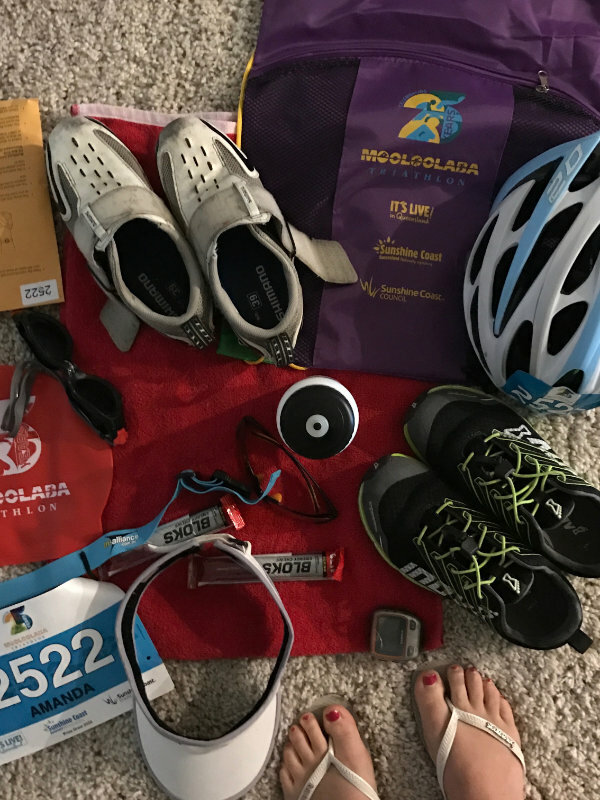 I chose one spot – where I thought I would remember where my bike was, only to realise I would have to run a long way in my bike shoes. I’m not quite at the ‘clip your shoes to the bike and put them on when you’re riding’ stage yet, but I’m sure I’ll get there one day. 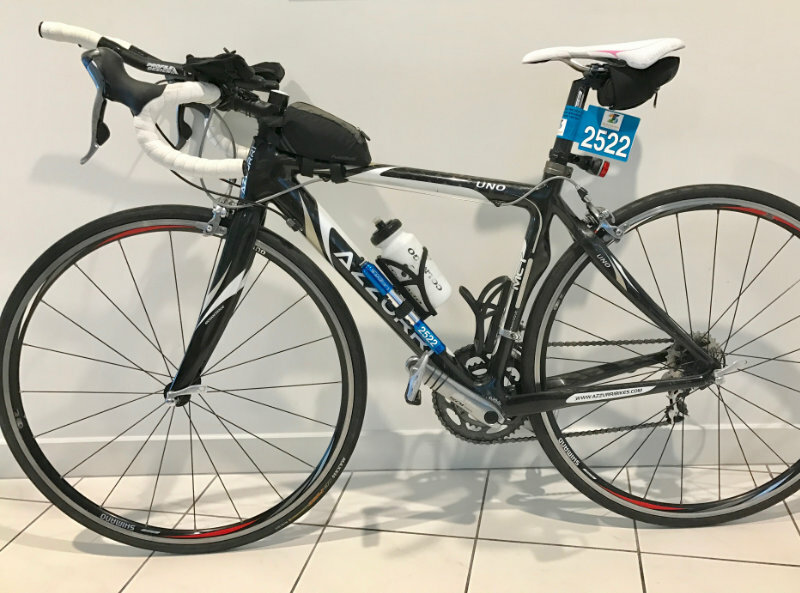 I found my bike easily and had two really good transition times. My bike ride also turned out to be my fastest 40km ride yet too. I felt great on the bike, except when other riders passed me. My bike, all stickered up. Then the run leg. Running use to be my best leg, but I haven’t done as much run training as previously and because my wave started late, by the time I got onto the run leg it was around 10:30am and 30 degrees. I didn’t do as well as I would’ve liked in the run, I had to walk through the drink stations and I walked a couple of other times as well, but I did run the hills. The hills were probably my favourite part of the run. At least my Tuesday hill training paid off. The end of the bike leg. The end of the run – and that’s why I’m smiling – I can see the finish line. So what do you eat during a triathlon. 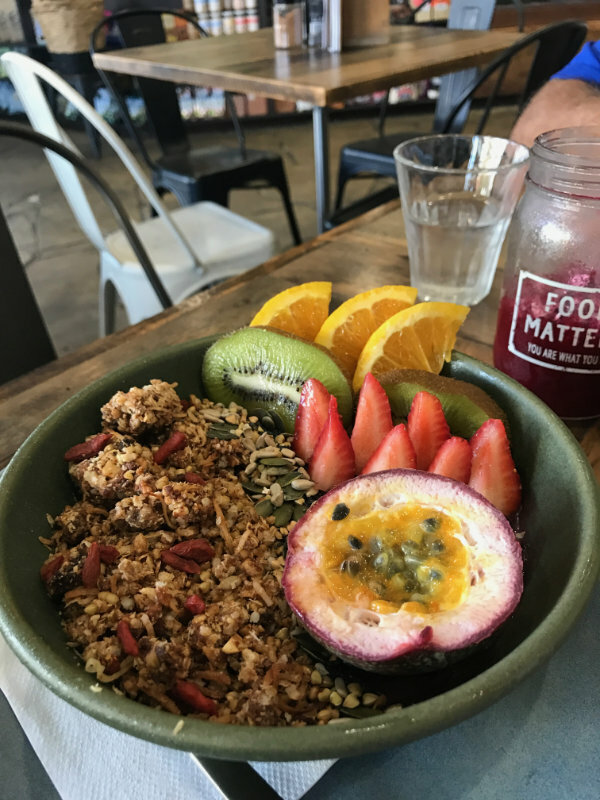 You have to eat something to fuel your body. I’ve been training with Clif Bloks (yes, it is one f and no c) and Staminade. I started the day with oats and coconut water and a coffee about 3 hours before my wave started. Just before I started I had a Clif Blok and then had another one when I started on the bike, one at 20km, one at the start of the run and another one about half way through the run. But in hindsight I don’t think I drank enough water. 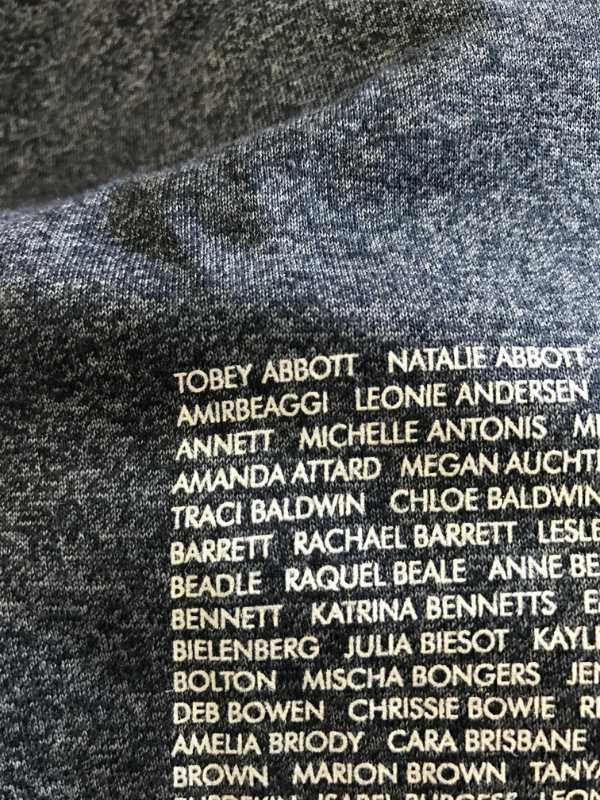 My name’s on a shirt. 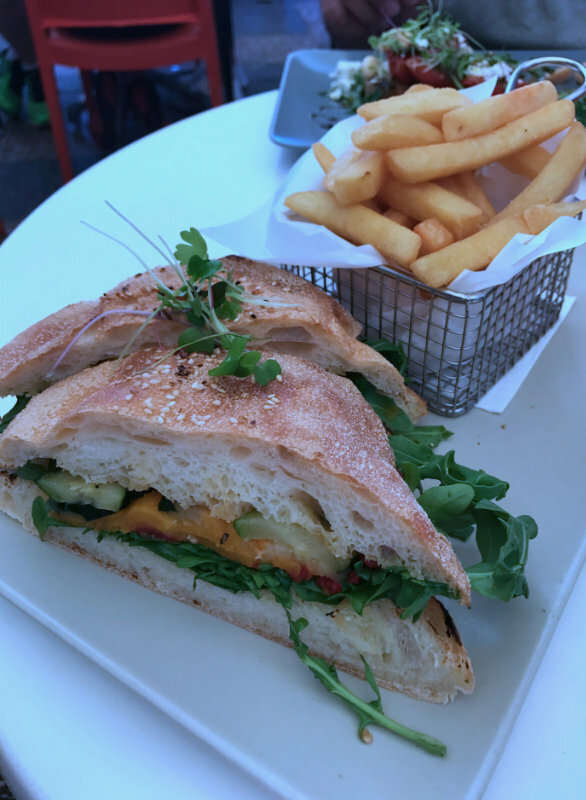 The best part of triathlon festivals is the food you eat about 2 days before and the day or two after. Post race lunch – with a beer. 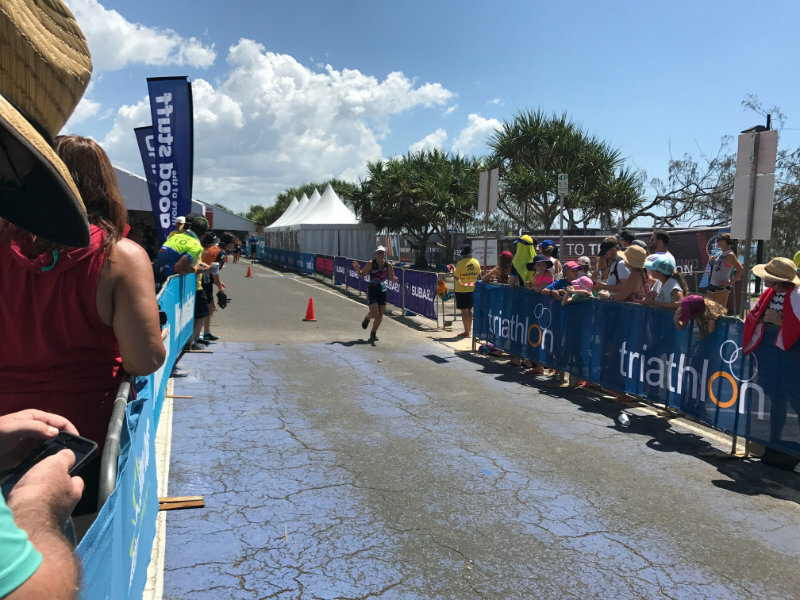 Triathlons are a challenge but I love them. The best part for me is that everyone starts at different times, even though you are all doing the same race. That way you don’t realise how close to the back you are until the results come through. And the crowds are always amazing. They cheer everyone on, whether you’re an elite at the beginning or a weekend warrior at the back. And the kids always have their hands out for a high five. Two things I saw at this year’s event that also make me realise how lucky I am is 1. a wheelchair athlete. He was carried on a sling by two men out of the water to his wheelchair. It’s so inspiring that his disability has not stopped him from being fit and competing in what many able-bodied people would think is too hard. And the second one was a father who was pushing his teenage son in a custom wheelchair during the run leg. I’m not sure how much of the race they had done. I have heard of parents who pull their children in custom made kayaks in the water, ride with them on custom made bikes and run with custom made wheelchairs. These people are the real heroes of sport. 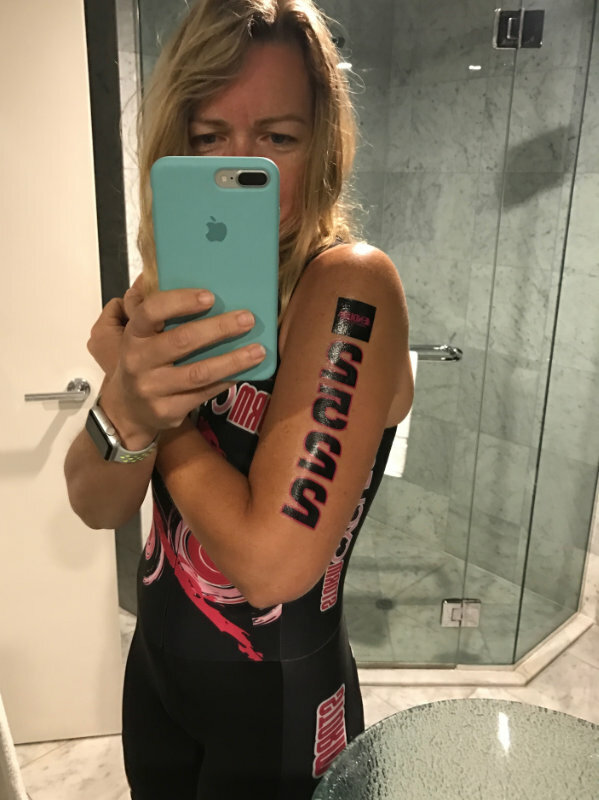 They are the motivators, the ones who have so much courage and bravery to continue when adversary would have you think that you can’t enter an event like a triathlon. If you want something bad enough you’ll find a way, and if you don’t you’ll find an excuse. 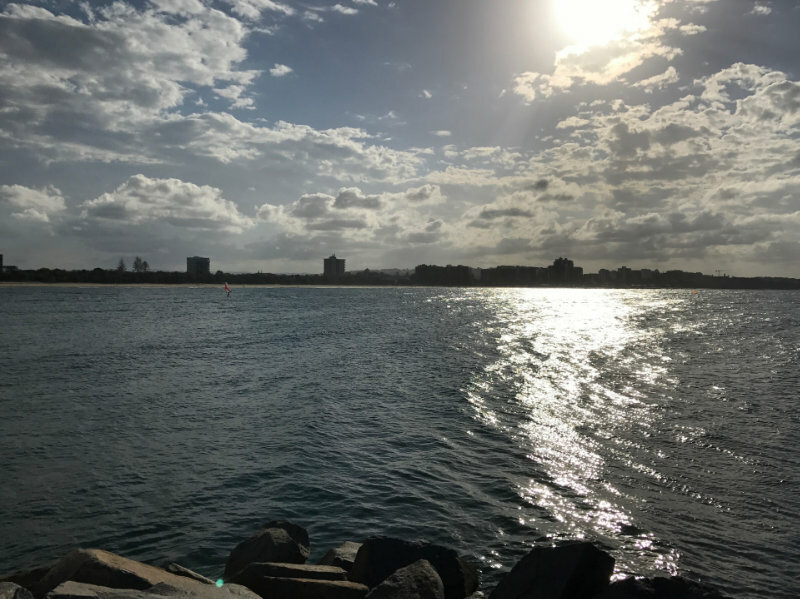 Mooloolaba really turned it on.